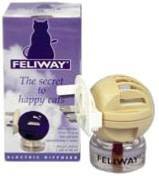 We stock a wide range of high quality cat food, cat accessories and toys as well as flea and worming treatments. Select any category to see the full range of available products. We offer FREE advice on worming, flea control, feeding, products and accessories.